Vermicelli means long slender threads or little worms, a traditional type of pasta round in section similar to spaghetti, a part of several Asian cuisines regular breakfast, an expression of culture, tradition and healthy lifestyle. Vermicelli also Known as semiya in Tamil and Malayalam, sev, sevai in Gujarati, simoli in Bengali, semiyan, sawaeya,and sevee in Hindi. Made from refined rice or millet flours suitable for quick cooking, often referred to as rice sticks or noodles used to prepare sweet and savoury dishes. Without a flavour of its own with nature to readily absorb the flavour of the ingredients cooked with. 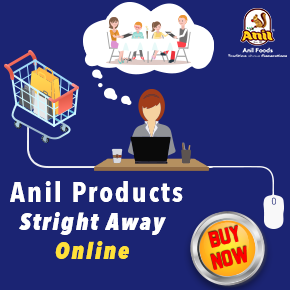 Best brands like Anil Roasted and non-roasted vermicelli’s with varieties of flavours and forms like lemon, tamarind and millet-based are available in the market and online. Nutritionally vermicelli is calorie-dense and high in carbs, fat and cholesterol free low in sodium. A great alternative to other forms of pasta and oats liked by all irrespective of age. Breakfast prepared with vermicelli are incredibly delicious which is also good for toddlers and pregnant women. A light and the perfect start for a day when cooked with fresh vegetables.Good diet choice for people who are looking out for a solution to weight loss. 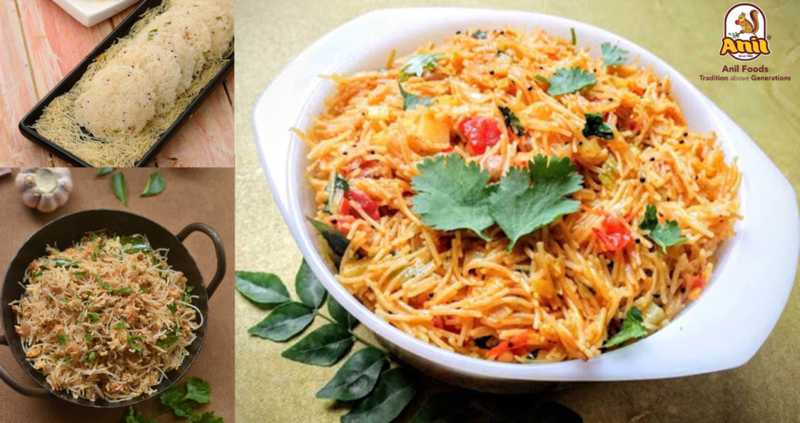 A variety of dishes can be prepared with vermicelli like upma, vermicelli nuts idli,semiya payasam, kheer, tomato vermicelli soup, ice cream, seviyan pulao, biryani, halwa, sheer korma, vermicelli paneer rolls, and vermicelli mushroom broth. Vermicelli idli prepared with broken nuts is the perfect choice for a spicy breakfast or a starter of the day. A little amount of rava added to the batter gives a crunchy texture to the dish. Millet vermicelli’s are also a healthy choice for a healthy breakfast. A wholesome delicious breakfast with vermicelli scrambled egg and spices, easy to cook and digest and a balanced breakfast with simple ingredients. Rich in proteins this can be served with coconut chutney.